The Company is fortunate to have four outside directors, each accomplished individuals, to provide corporate governance and strategy. 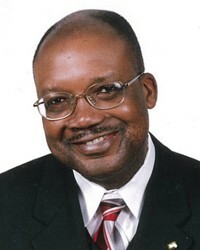 Mr. Brown is the founder of Railmark Holdings Inc. and serves as its visionary, developer, and President & CEO. He is a rail industry veteran and expert in railroad development in the United States and around the world. 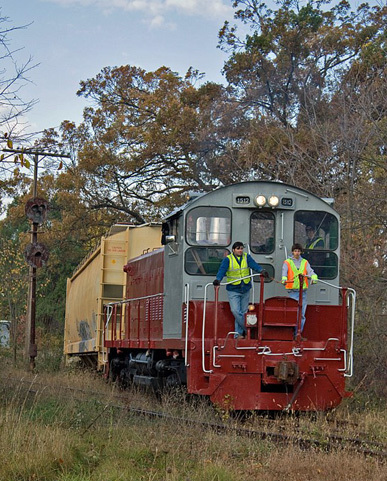 He has hands-on experience in every aspect of planning, building, developing, and maintaining a railroad network. During Mr. Brown's extensive railroad career, he has been personally involved in or led over 60 railroad acquisitions and divestitures and has had direct experience rejuvenating dozens of rail-oriented companies, developing a reputation as a railroad turnaround expert. Mr. Brown's railroad career began shortly after the 1981 Staggers Act, which deregulated the US railroad industry. His international railroad experience began in Europe in the late 1990's, expanding to over 40 countries today. In 2007 Mr. Brown and Railmark entered the African market, performing a comprehensive rail development plan and economic analysis for the late President Mill's administration in Ghana. Over the next eleven years Mr. Brown and Railmark would perform rail development and detailed economic analyses for 15 additional governments on the African continent. Internally, Railmark has prepared similar rail economic information for practically all of Africa's 54 countries raising its level of proficiency with the plan to address an overall railroad network on the continent of Africa. 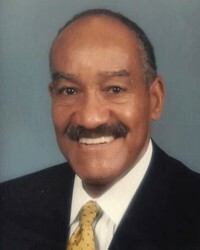 Prior to Railmark, Mr. Brown served in various rail industry senior management positions, railroad company officer positions, and on the board of directors of a publicly-held railroad company and several privately-held rail and rail-related companies. Mr. Brown maintains an extensive working relationship with domestic and international railroad leaders, industry professionals, railroads, and railroad service companies of all sizes. Throughout Railmark's 20+ year history he has invested in new railroad industry technologies and environmentally safe rail products, delivering many to the marketplace. Mr. Brown holds a Master of Business Administration, concentration in Finance & Economics from the University of Evansville (Evansville, Indiana USA) and a Bachelor of Business Administration-Finance from the University of Kentucky (Lexington, Kentucky USA). 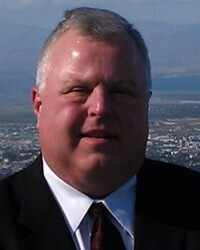 Mr. Lundquist has been a Director of Railmark Holdings Inc. since 2008 and affiliated with the Company since 2006. He is Vice Chairman of Railmark Holdings & Subsidiaries, President & CEO of Fulcrum Edge, Inc., an international business management firm, and also CEO of C-wav Global Corp., a wireless broadband technology company. Mr. Lundquist spent fifteen years in the aerospace and defense industries before shifting to automotive, robotics and controls. He has held senior executive positions with Bosch, Mannesmann AG, Norgren, Grimes Aerospace (now Honeywell Aerospace) and Valcor Engineering, and began his career with Sundstrand Corporation (now UTC Aerospace Systems). Mr. Lundquist has extensive executive management experience with Fortune 500-sized firms, spanning Europe, the Americas and Asia-Pacific. He is an angel investor and serial entrepreneur, having founded or co-founded four companies and taken one public via IPO. His background includes sales, marketing, engineering, operations, product support, and supply chain management. 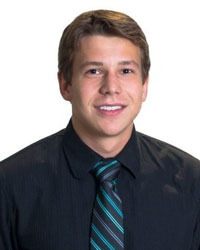 Mr. Lundquist holds a Bachelor of Science degree in Mechanical Engineering from the University of Illinois at Urbana-Champaign. He sits on the boards for numerous companies, was an Executive Faculty Member for Wayne State University's E2detroit entrepreneurship program, an adjunct instructor at the University of Michigan-Dearborn's Graduate School of Management, and was recognized by Lawrence Technological University and WWJ (CBS) radio as a "Leader & Innovator" in Michigan. 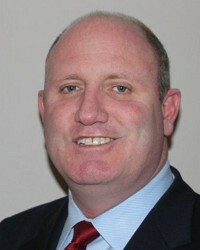 Brian Goodin - Director, Chief Financial Officer, Railmark Holdings Inc.
Mr. Goodin joined Railmark in 2016 and serves as both Director and Chief Financial Officer of Railmark Holdings, Inc. Mr. Goodin is an accomplished international business consultant with extensive experience in both private business and government. In a stellar career spanning fifty years Mr. Goodin has worked all over the world developing and financing international businesses in Africa, Canada, the Caribbean and elsewhere, particularly in the textile industry and infrastructure project finance. Among Mr. Goodin's clients are the United Nations Development Program, World Bank, International Labor Organization and the Governments of Bermuda, Ghana, Haiti, Jamaica, Martinique, among others. Mr. Goodin's business experience extends to national media and real estate development in New York and Florida. Since 2006 Mr. Goodin financed and founded Equator Trading LLC, a multi-national consulting, project financing and commodity trading company whose activities include trading commodities and securing project, infrastructure, development and trade finance for developing countries, companies and institutions. Mr. Goodin has served on the Boards of many privately held corporations and has been an instructor on numerous occasions in the field of textiles. Mr. Goodin has previous served as a Director of The Children's Art Carnival, New York, a public/private institution focused on the inclusion of art in the education of children. Mr. Lang has been a Director of Railmark Canada Limited, Railmark's Canadian subsidiary, since 2014 and the Company's Canadian Team Leader since 2012. Mr. Lang is President and CEO, as well as principal, of EXI-PLAST Custom Moulding Limited, a Custom & Proprietary Industrial Blow-Moulding Manufacturer based in Huron Park ON. Mr. Lang is a fourth generation Londoner with deep roots in Southwestern Ontario. Mr. Lang is also co-founder and Chair of Canadian Economic Assistance for South Sudan (CEDASS). CEDASS is a non-governmental organization dedicated to helping provide sustainable development in South Sudan. Mr. Lang has travelled to the East African country numerous times to lead the development of this amazing project. Mr. Lang sits on the Board of Directors for Swedish Biogas LLP and Railmark Canada Limited. During the past three decades, Mr. Lang has served the community in several capacities, such as former Board Chair of the Boys & Girls Club of London, Alzheimer's Foundation of London Middlesex, and Vice Chair, Ronald McDonald House. Married with two teenage children, Mr. Lang has dedicated his career to building better businesses with a social and community benefit. Mr. Lang is a graduate of the University of Western Ontario with a strong emphasis in Politics and Business Administration. Mr. Lenderman joined Railmark in 2014 as Vice President, Sales & Marketing, primarily focusing on the company's new RAILMARK TRANSIT SERVICES business unit, created to supply services and products into the North American Rail Transit Markets. Under Mr. Lenderman's leadership, Railmark consolidates the Company's existing RAILMARK Biobased Lubrication Products, RAILheat™ technology, and passenger car parts product lines introduced in 2012, into one business unit. Mr. Lenderman, a proven rail supply industry veteran, continues to add new product and service lines, enabling Railmark to deliver products and services to the industry with a focus on efficiency, sustainability and environmental safety. Also included in the new business unit will be the Company's passenger car maintenance, servicing and transit support services specifically designed to enhance passenger train operations, marketing and ADA passenger accessibility. Now with this focused business unit under Lenderman's leadership, Railmark plans on significantly expanding both the products and services to a growing transit market in North America and around the world. This expansion will take the form of both organic growth and acquisitions. With a career spanning over 30 years, Robert Lenderman has held a number of positions serving the country's general transportation industry before joining Railmark. Most recently Mr. Lenderman served as National Sales Manager for JMA Railroad Supply Company, Carol Stream, Illinois. Prior to his tenure with JMA, Mr. Lenderman had been General Manager of EngineAir, Inc. of Seymour, Indiana. Mr. Lenderman's career focused on the Railroad market, Rail Transit, Transit Bus, and Highway truck as well as, on and off-highway vehicle markets. In addition to sales and sales management functions, Mr. Lenderman served as general manager of a number of manufacturing and remanufacturing companies. A life-long resident of Michigan, Mr. Lenderman grew up in the downriver Detroit area and received both a Bachelors of Business Administration (BBA) and a Masters of Business Administration (MBA) from Eastern Michigan University (EMU). Mr. Walters joined Railmark in 2019 as Manager, Sales & Marketing, primarily focusing on the company's business units operating in its Great Lakes Region, namely Railmark Rail Services Inc., Railmark Track Works Inc. and Railmark Industrial Railway Inc. Mr. Walters is the Commercial Relationship Manager for Railmark's customers located in Ohio, Michigan and Northeast Indiana. 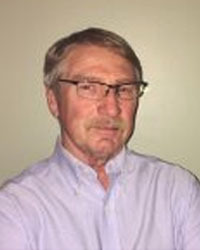 Mr. Walters comes to Railmark having gained extensive career experience in logistics from one of the largest 3PLs and freight brokerage firms in North America. Mr. Walters's logistics background combined with his demonstrated experience in marketing, brand development, and customer relations, makes him well suited to represent Railmark's commercial relationships in the Great Lakes Region. A life-long resident of Michigan, in 2017 Mr. Walters received a Bachelor of Business Administration (BBA), specializing in Advertising and Promotion, from Western Michigan University (WMU) in Kalamazoo Michigan. Sharnia "Tab" Buford - Treasurer, Railmark Haiti Inc.
Mr. Buford is the Treasurer of Railmark Haiti Inc. and is working closely with Railmark with an extensive rail development program for this Caribbean nation. Mr. Buford is also President & CEO of "Sharnia Tab Buford & Associates Inc." that provides financial services on a national and international basis. Mr. Buford has an extensive background in the senior management of banks in New York, St. Louis, Memphis and Kansas City. Mr. Buford has also negotiated large credit facilities with corporations such as Wal-Mart and others. Internationally Mr. Buford has corrected credit and foreign exchange problems for banks in South Africa. Mr. Buford is both a domestic and international bank leader. Mr. Buford has been recognized and presented awards by National Banker's Association, Harlem Business Alliance, White House Fellow Selection Committee and listed as one of Ebony Magazine's "100 Most Influential Black Americans" and is guest lecturer at Harvard's Black MBA's Annual Conference. Mr. Buford is a graduate of the University of Colorado's (Boulder Colorado) Graduate School of Banking and holds both a Bachelor's Degree in Business Administration and an Honorary Doctorate of Law from Texas College (Tyler Texas). Mr. Augustave joined Railmark in 2011 as Vice President, Rail Development working on promoting Railmark's proprietary rail-centric economic development model for emerging economies and has assisted the Company on rail development projects in Africa, Latin America and the Caribbean. Mr. Augustave is the Company's current Team Leader for Railmark projects in Haiti and Ghana and assists Railmark's teams in three other countries. Mr. Augustave has played a key role in the establishment of Railmark Trade Representatives, now in five countries outside of North America. 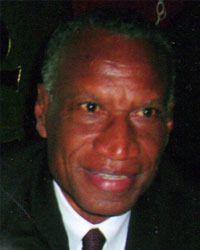 Mr. Augustave began his university studies at Faculté des Sciences Humaines (Haïti) and continued his education in Economics at Rutgers University, Newark New Jersey. Mr. Augustave also participated in a special Finance and Banking program offered at New York University and has had a long career in banking. Mr. Augustave enjoys theology and preaching and is an entrepreneur with a strong background in finance, management and corporate business. Mr. Kamara joined Railmark in 2011, originally as the Company's Special Advisor, Emerging Markets, focusing on rail development in Africa. In 2015 Mr. Kamara was named "Market Development Director for Africa" and leads Railmark's local teams in Africa with rail development projects in The Gambia, Namibia, Nigeria, Senegal and other locations throughout Africa. Mr. Kamara is also CEO of Detroit-based Greenfield Capital Group Inc. Mr. Kamara's professional career has focused on international business, banking and finance. Mr. Kamara has planned and successfully implemented a series of trade missions to Africa and actively works with trade between the U.S. and Africa. Prior to joining Greenfield Capital Group Inc. Mr. Kamara was Executive Vice President of Washington DC-based The Goman Group Inc., a firm engaged in international business transactions. Mr.Kamara is very active in the local community in the Metro Detroit area where he serves as a board member to different non-Profit organizations. Mr. Cheng joined Railmark in 2015 as a Company Advisor and now serves in the position of Manager, Business Development for the Company's subsidiary Rail Freight Solutions Inc. In this capacity Mr. Cheng is focusing on the successful launch of Railmark's new logistic services for companies shipping to and from the U.S. and China. Mr. Cheng also serves as Railmark's Trade Representative in China, representing all of Railmark's interest in China and working with the Company's local representatives there. Mr. Cheng is an enterprising young professional who has spent the majority of his time in Shanghai, China. Mr. Cheng attended China's largest international school, Shanghai American School, which first opened its doors in 1912 and later reopened in 1980 on the grounds of the U.S. Consulate. As the President of SAPTC at a young age, he has had first-hand experience in international business. SAPTC is the exclusive representative and North American window for the National Auto and Parts Export Base (Shanghai)'', a national program mandated by Ministry of Commerce of the People's Republic of China in 2006. Through this platform Mr. Cheng enjoys access to a vast network and information resources in China and provides him with the value needed to innovate any potential business ventures with China. 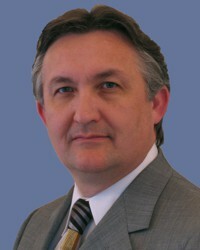 He has experience with bridging the new automotive industry relationships between China and North America. 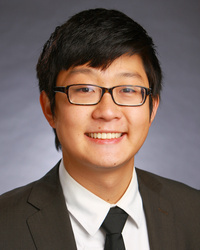 While in college Mr. Cheng provided pro-bono consulting to non-profit organizations in the state of Michigan as a leader in the Students Consulting Non-Profit Organizations (SCNO) and will be working with the RAILMARK FOUNDATION. Mr. Cheng holds a Bachelor's Degree in Economics from Michigan State University (East Lansing, Michigan). What is A New Train of Thought ...™? Railmark's registered slogan, what does it mean? Railmark's founder and principal B. Allen Brown has experienced, firsthand, the rebirth of the U.S. rail system from the beginning with the industry de-regulation, the Staggers Act of 1980. Then as a college student in finance and economics Mr. Brown conducted a research project on the proposed effects of the new legislation in Congress de-regulating the transportation industry  The Staggers Act of 1980. This project would comprise a major part of a business class grade requirement for subjects based upon current business trends in the U.S. The paper would be written and graded even before the implementation of the new law in 1981. 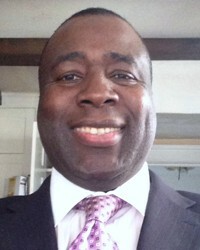 Mr. Brown as a graduate student was pursuing a Masters of Business Administration  Economics degree. He would then pull out that old paper and expand it to include the implementation of the new law and the positive effects it was having even in its early stages. Now fascinated with the business of railroading Mr. Brown became very involved with the start-up of a new shortline holding company and had the opportunity over the next 16 years to learn and be responsible for every component of the railroad industry including acquisitions and divestitures and gained unique experience with rail business development. During that time the industry matured and became more efficient. By 2000 Mr. Brown witnessed several business practices within the industry that he thought should be performed better or more customer-focused. He formed Railmark Holdings, Inc. to demonstrate his ideas and today those unique approaches to serving customers in the railroad industry, both as a direct rail services provider and as a supplier of services to the railroad industry, is being recognized by the railroad industry around the world. Railmark's business strategy is to deliver its products and services with the highest degree of service delivery, customer communications, workmanship and quality. It is these standards which set Railmark apart from its competitors, along with the ease of doing business with a company that can provide multiple rail services to the same customer. Railmark can perform all rail services needed by the same customer, improving both the customer's cost savings and the Company's margins with better and more focused operating and management efficiencies. Railmark combines this strategy, delivered by a strong competent team of railroad professionals, marketing its style of service delivery with the registered slogan: A New Train of Thought ...™.